← The transformation of a closet. Posted on November 4, 2011 | Comments Off on Cool. I love the idea of having things in your home that are not normal but pretty cool. This is definitely the motivation behind the drinking fountain we will install later this winter in our yard for runners who pass by our home. And an outdoor shower. But that will come a little later. The Pioneer Woman is the queen of cool and has made quite a name for herself in the blog world. Recently (you likely know), she completed the transformation of a room for her two girls. 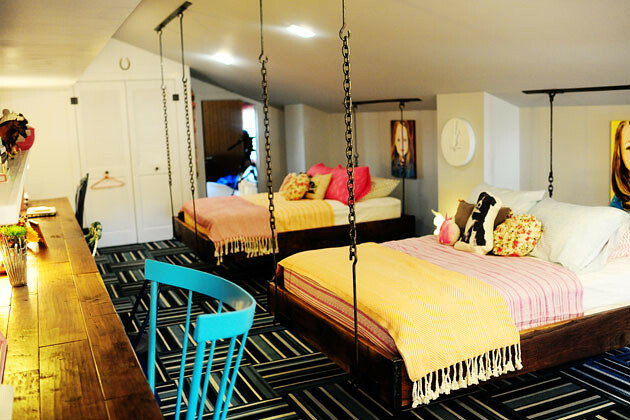 And I can’t quite get over the hanging beds. This is a unique feature that likely cost more money but that absolutely makes the room. I want to be willing to do things like this. Also, Edie, of Life in Grace, recently completed a rebuild of her home that was burned to the ground. And she redid her kitchen to be a top-notch, dream kitchen, which she calls, “Her Highness.” I think it is deserving of the royal title. I am trying not to drool all over my screen. 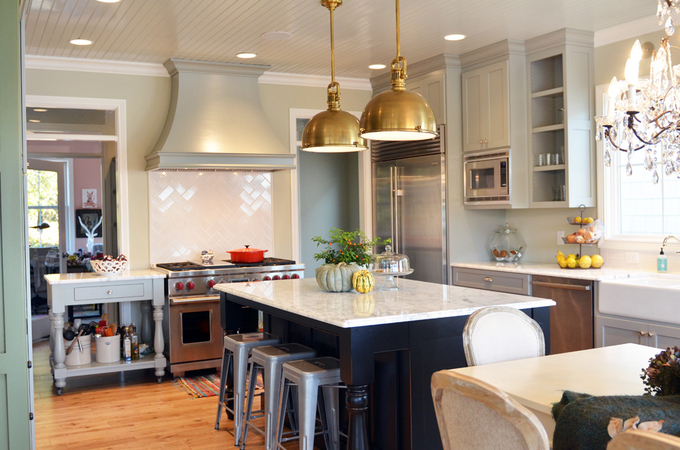 I like that she has brass lighting with stainless steel appliances and pulls-no need to match. I love the utilitarian feel of the stools in the same room with the fussy chandelier (though I am not sure I can do a fussy chandelier). I love that there are some open cabinets and some closed. I love that there are different color cabinets–3 colors in this picture. Those are just a few things I am dreaming about today…as I drink my hot cup of coffee in my fancy cup on a cold Friday morning. 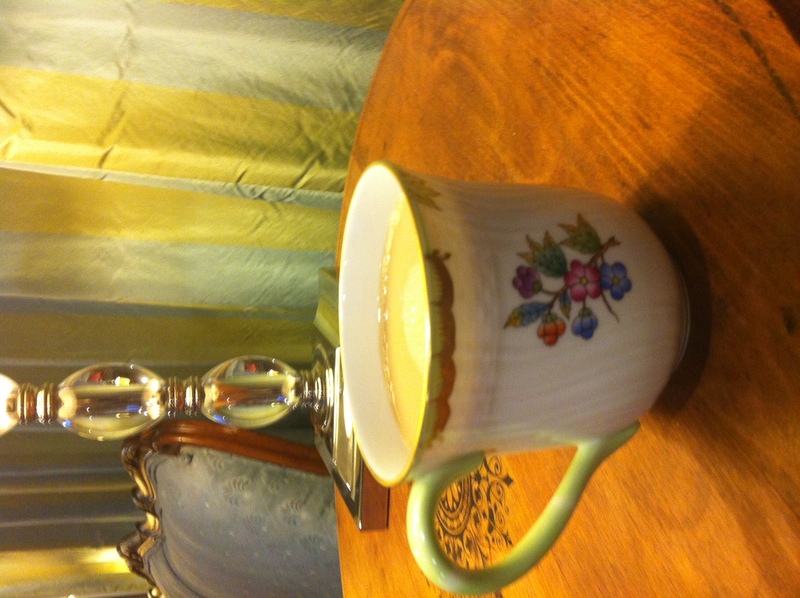 Coffee tastes better from your china, you know. This weekend will be a home weekend. Scott has been out of town all week and is ready for his own bed–which should be improved with an upholstered headboard by the end of the weekend. Hopefully. Stay tuned.